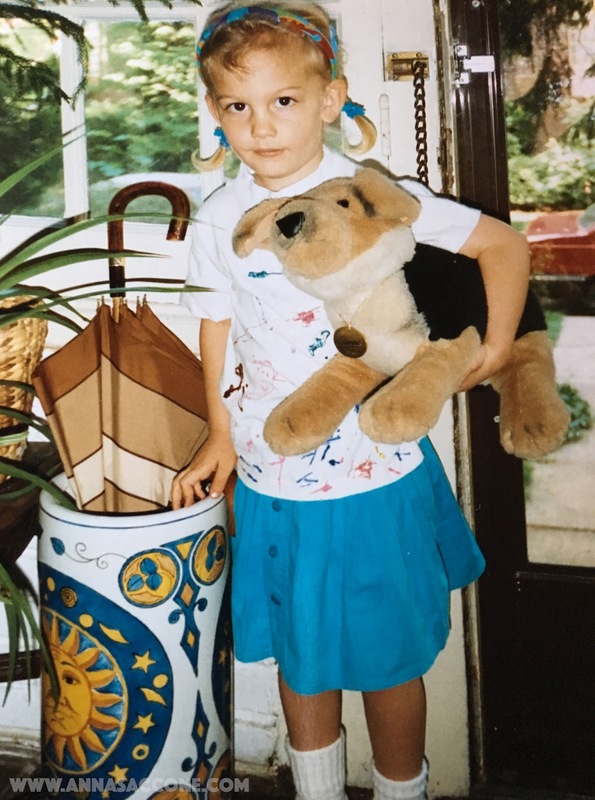 Here's another throwback pic of me at about 5 years old in our front porch when we lived in Baltimore. 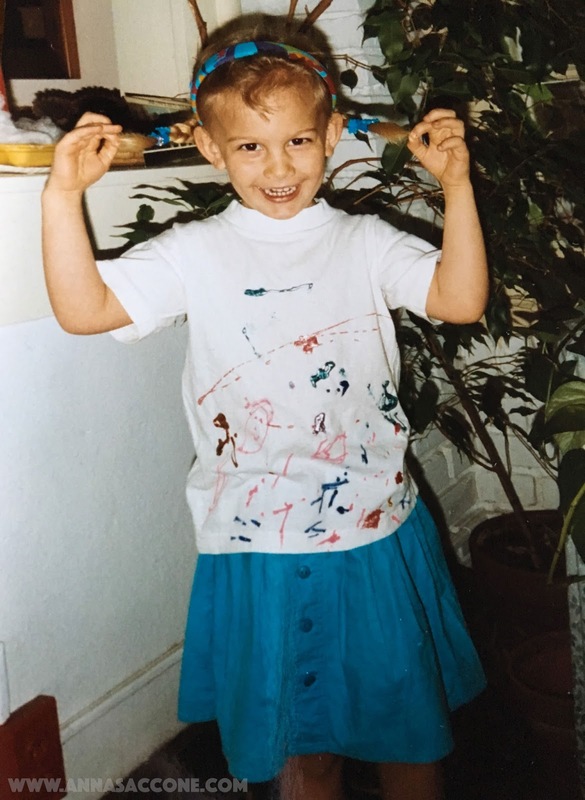 I'm proudly showing off my self designed t-shirt which I created at Kindergarten using gel paints (still remember the gummy feeling of them after they'd dried up!). This week at her school, Emilia is bringing in a plain t-shirt to paint and put her own designs on for the Christmas concert which got me thinking about mine & how crazy it is when things in life come full circle! The second picture is of me holding one of my many "pet dogs". Unfortunately because my mum was allergic we were never allowed to get one but that never stopped me from making it my wish EVERY single year when I blew out my birthday candles! Fast forward twenty something years and here I am surrounded by six dogs - an entire dog family if you will. Evidently birthday wishes do eventually come true!! Lovely pictures!! You and Eduardo are SO alike!! Haha, was Jonathan even included in the baby-making-part. :D Eduardo and Emilia are both spitting images of you. oh my god you are identical to eduardo!! Eduardo looks a lot like you in these pictures! Happy Thanksgiving from our family to yours! It's crazy how similar Eduardo looks to you when you were younger! Eduardo looks just like you! It's crazy! i was never allowed to have a dog but exactly the same: every time i blew out candels or saw a shooting star or had a a wish for any other reason it was ALWAYS a dog. So totally agreement about the wishing haha! Lucky you- you were able to make your wish come true of having many dogs that you love and wished for! This is so cute. Emilia & Eduardo look so much like you when you where younger. Especially the eyes. Omg. Eduardo looks so much like you!!! These photos are so sweet, you and Eduardo look so similar! I've always wished for a dog, so hopefully one day my wish will come true haha! Hahahah so cute! I never got my wish of a dog till i grew up either LOL.....btw the first pic is totally eduardo and the second Emilia!